Barely within eight months of the government issuing the draft notification allowing ICE-vehicles to be retrofitted with full-electric kits, India has got its first retrofitted electric vehicle registered in Telangana, Andhra Pradesh. On November 12, 2018, Autocar Professional had reported about a Telangana-based start-up E-Trio Automobiles, which was working on launching retrofitted EV cars in India. 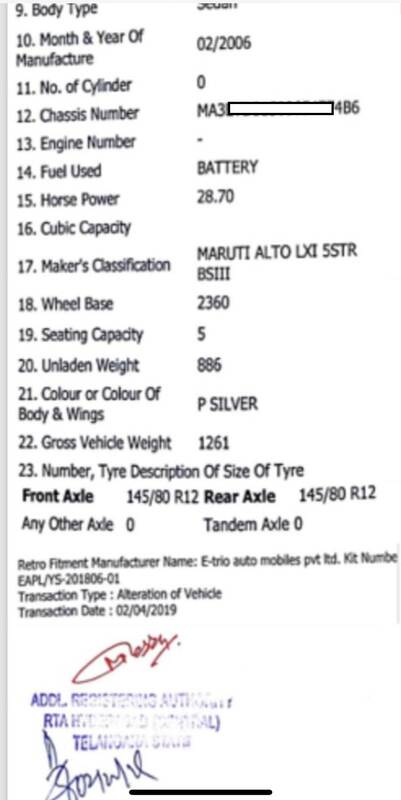 The company was said to be the first company in India to successfully get ARAI approval for retrofitted car kits in the Maruti Alto and Wagon R hatchbacks. 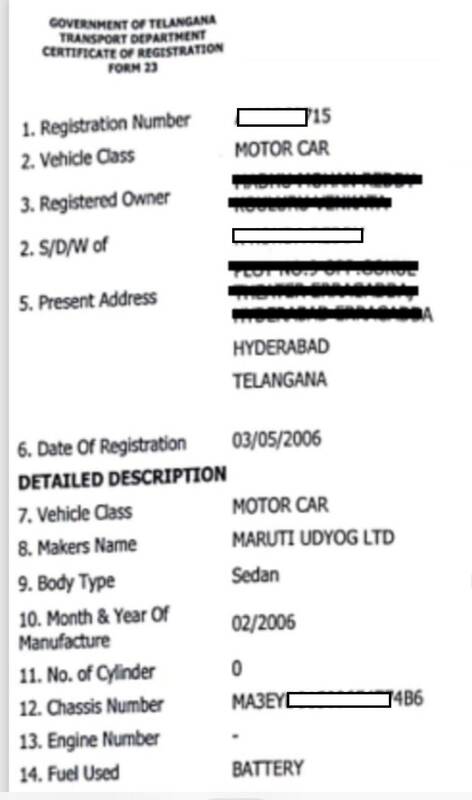 Fast forward to the present day, the company's founder Sathya Yalamanchili has been successful in getting its first car, a 2006 Maruti Suzuki Alto get the necessary approval/registration from the Regional Transport Office (RTO) in Telangana. According to the company, these retrofitted electric cars do not require gears, come with swift acceleration and can travel up to 150km on a single charge. The company's factory has a capacity of converting 1,000 cars per month. E-Trio had also revealed that it is ready to sell kits and retrofitted cars in the market, while the retrofitted kits have been sourced from China and Korea, the ‘Controller’ (for the kit) is indigenously developed. The company has said to be testing (retrofitted) cars for the past two years and its goal was to roll out at least 5,000 cars in the next year.